The RSPCA is appealing for information about a savage dog attack in Datchet after six sheep had to be put down. A shepherd has been left distraught after a savage dog attack left six of her ewes fighting for their life. The ewes were left with injuries so severe they had to be put down, devastating Hollie Levingee and her family who had kept sheep in the area for over 30 years. The RSPCA is appealing for information after they received a call on Thursday October 6 from a walker who had found a sheep bleeding by the Queen Mother Reservoir in Datchet. 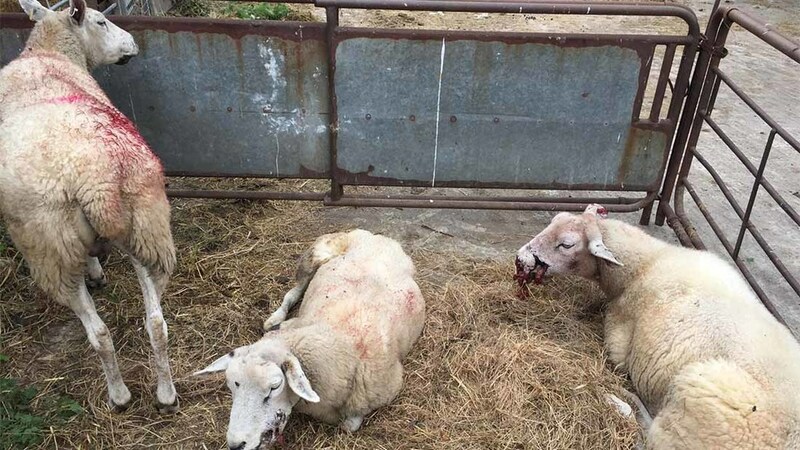 RSPCA inspector Maxine Jones said: “A vet attended with police and were faced with a horrific sight - the poor ewe was in agony; she was bleeding heavily from extreme injuries to her face that were so bad her jaw was exposed. This was the moment owner and shepherd Hollie Levinge was reached and rushed to the scene. When she later attended to the rest of her flock, Hollie found a further five of her ewes also suffering with severe injuries, bleeding heavily from their faces and legs. “My ewes were in a state of terrible shock. I just couldn’t believe what I was seeing," Hollie said. “I loaded them onto a trailer straight away and took them back to my farm, but they were so badly injured I had to have them all put to sleep. “I just can’t understand how somebody could allow their dogs to commit such a savage attack on six sheep, it’s just terrible. “This is our family business and we rely on people with dogs to be responsible around our flock as they graze on private land. Inspector Jones reiterated that dog owners should keep their dogs on a lead around livestock and wildlife. “The aftermath of these attacks cause extreme stress, injuries and sometimes death to the sheep, as in this horrific incident,” she said. “Dog owners should also remember that they could be prosecuted and their dog could be shot if they are caught worrying sheep. Inspector Jones urges anyone with information to call the appeal line on 03010 123 8018.